Metropol Lake Resort is located 14 km from Ohrid airport and approximately 200 km from Skopje airport. Shuttle service will be organised during the Conference from both airports to the Conference venue upon request and reservation of each participant. Organised transportation from Skopje airport to Ohrid (Metropol Lake Resort) by car and van will be organised. The distance from Skopje airport to Ohrid is about 200 km and it takes about 3 hours of travel. •The waiting period at the airport will depend on the type of shuttle service. Return transportation from Metropol Lake Resort-Ohrid to Skopje airport will be also organised. By plane: There are several European airlines that fly frequently to Skopje on daily bases and once or twice a week to Ohrid during the summer. There are direct flights from the following European cities: Belgrade, Brussels, Dusseldorf, Istanbul, Ljubljana, London-Luton, Lyon, Rome, Vienna, Zagreb, Zurich, that are serviced by: Adria Airways, Austrian Airlines, Belle Air Europe, Croatian Airlines, JAT Airways, MAT Airways, Swiss Air, Turkish Airlines, WIZZ Air. There is public transportation from the Skopje airport and no public transport from Ohrid airport. The distance from the airport to the city of Skopje is about 25 km. You can take a taxi from both airports to the cities and the price is approximately 1 Euro per 1km. 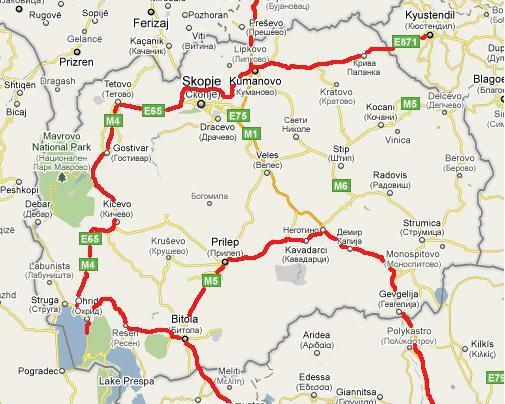 By car: Drive from Skopje to Ohrid on the E65 or M4 road. Once you reach Ohrid take the road to St. Naum Monastery (Sv. Naum). By bus: There are several buses per day going from Skopje Bus Station to Ohrid Bus Station. From the Ohrid Bus Station you can either take a taxi or take a local bus that is going to Sv. Naum or Peshtani.